Shouldn't the happiest day of your life take place in paradise? The Florida Keys are perfect for your destination wedding. 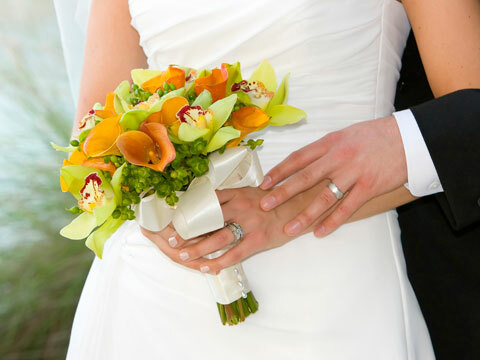 Find officiants, caterers, florists and more for your special day. Shouldn't the happiest day of your life take place in one of the most beautiful places in the world? There truly are no weddings like the ones that happen here in Key West and the Florida Keys. The beautiful pristine beaches and turquoise waters make for a perfect setting to exchange your vows. As well that are numerous places of worship throughout the Keys to accommodate people of any and all faiths. From large cathedrals to small, intimate chapels, there are lots of different venue options to choose from. There are also many boats, schooners, and catamarans that offer wedding ceremony services for a beautiful wedding on the water. Along with great ceremony venues, there are also countless options for reception venues. The wide selection of ballrooms, guesthouses, restaurants and resorts will make choosing a reception venue not only a delight, but a breeze as well. Destination weddings are becoming ever more popular and the Florida Keys have all the services and supplies you need to make your special day absolutely perfect. There a numerous florists, bakerys, photographers, and coordinators available to assist you in your wedding needs.